Successfully Added Solar outdoor camping lamp, outdoor courtyard, solar hanging lamp, weatherproof to your Shopping Cart. Solar floodlights with bright LED and motion detection provide enhanced home protection and peace of mind. 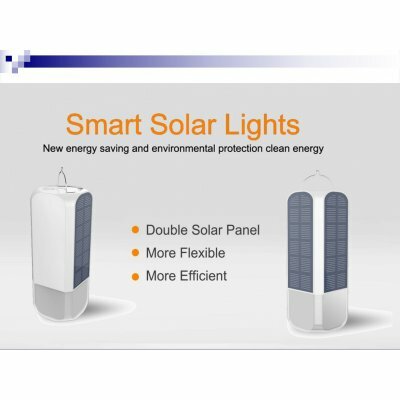 Powered by solar power, this flood lamp provides wire - free installation and energy saving, remote or inaccessible locations, such as huts, roofs, independent garages, and other outdoor buildings. Made of durable ABS plastic, this compact floodlight provides durable defense against natural elements. After dark, turn on the light. A perfect safety device to illuminate dark alleys, sidewalks or courtyards, and keep unwelcome visitors away. Easy to install, this floodlight does not require any type of wire. Use the included installer to fix it in the desired position and ensure that the W polycrystalline solar panels point to the sunny area to ensure the maximum solar charge. Solar floodlights are a useful complement to any outdoor safety system. For today's order, we promise to deliver the goods tomorrow. Brought you the leader of outdoor wholesale gadgets.